Today something arrived that I’ve been waiting for several months! It was definitely worth the wait, I absolutely love it. Unfortunately they’re now sold out until April, they’re that popular(! ), so I won’t get another one for almost 6 months which is quite disappointing. Anyway, I couldn’t not share this with you all; this beautiful box arrived this morning, beautifully wrapped on the outside and inside! I also now have sequins everywhere, my bedroom is literally sparkling! 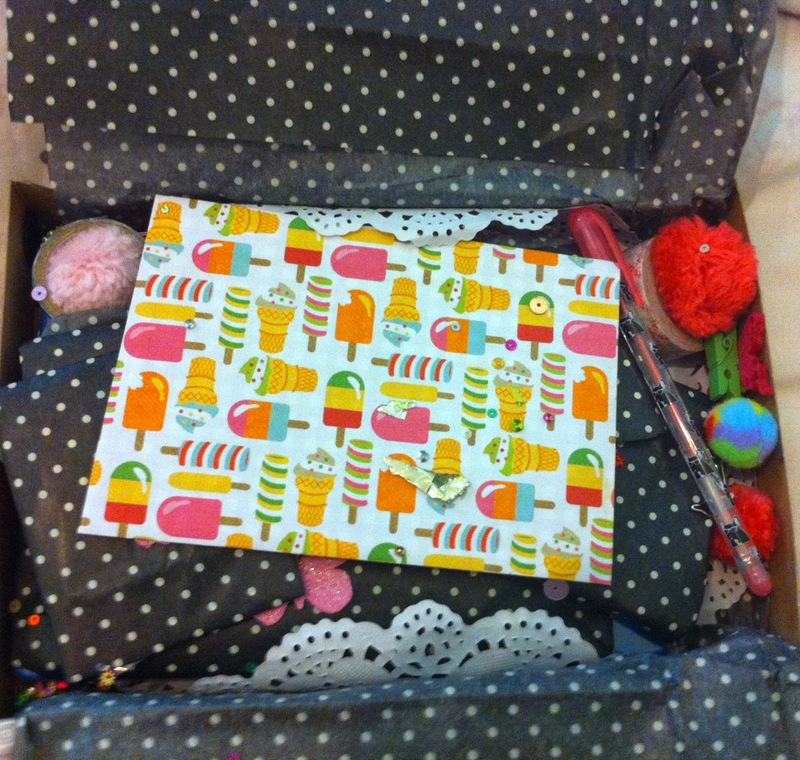 When I opened the box, I found a little thank you card and a beautiful wand that I will find a home for in my room. Underneath was some spotty tissue paper, which contained some more treats and some perfectly wrapped parcels. 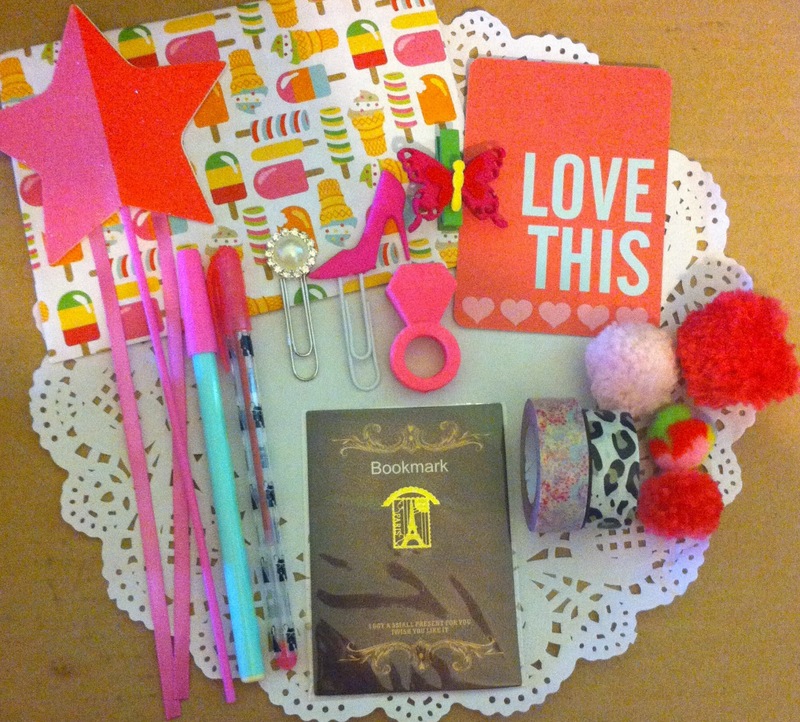 First of all, all of the odd bits that I found in the box included some pens, paperclips, pom poms, washi tape and a gorgeous bookmark. 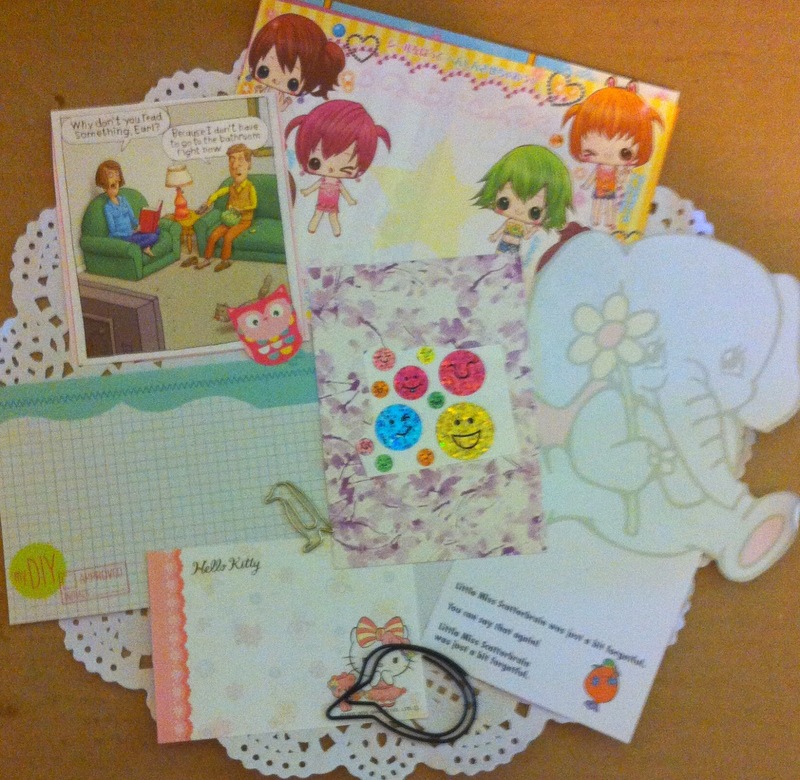 There was also a sweet little envelope that contained lots of different pieces of paper and some stickers. 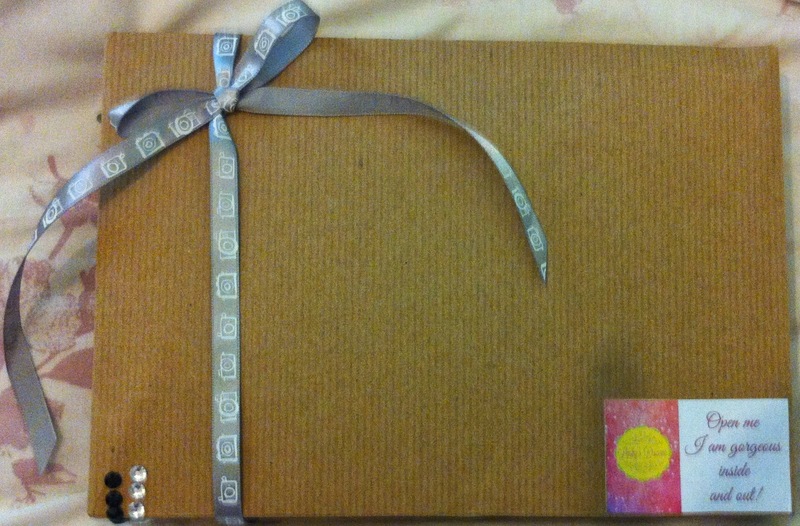 Next up are the wrapped parcels! I was so excited! 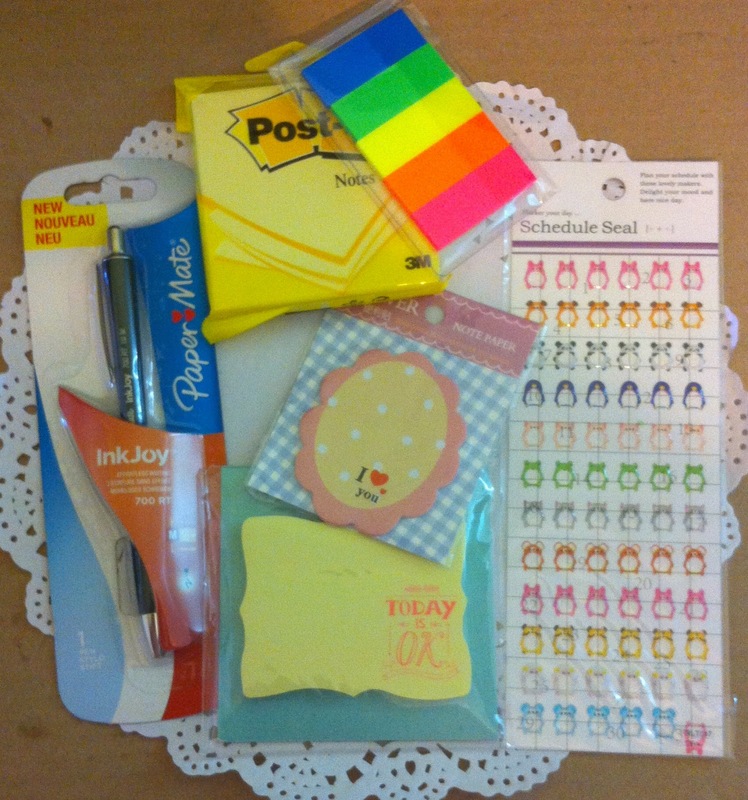 So many sticky notes (perfect for my Filofax as I just ran out), the cutest stickers and a pen. 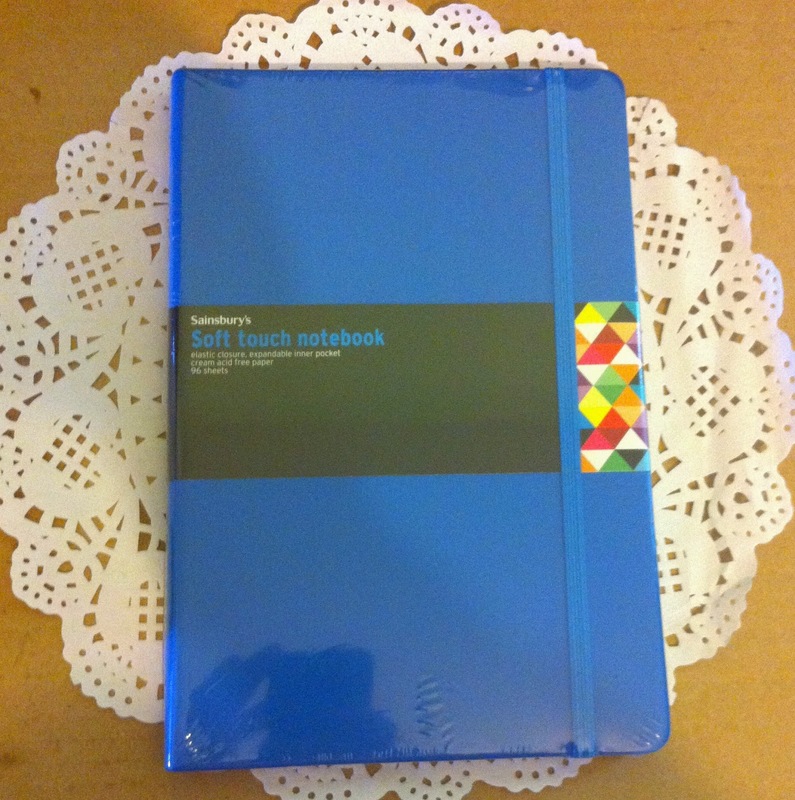 Also in the box was a beautiful A5 notebook in the prettiest blue, this will be my new blogging notebook. 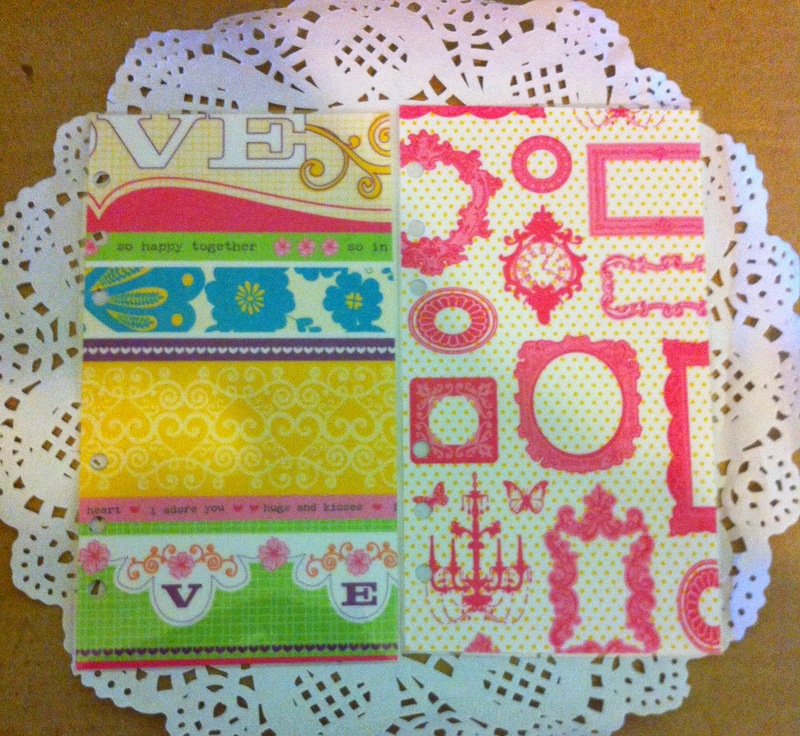 I had desperately wanted some new dividers for my Filofax and I did get some! They were hidden under the notebook and they’re already in my Filofax! 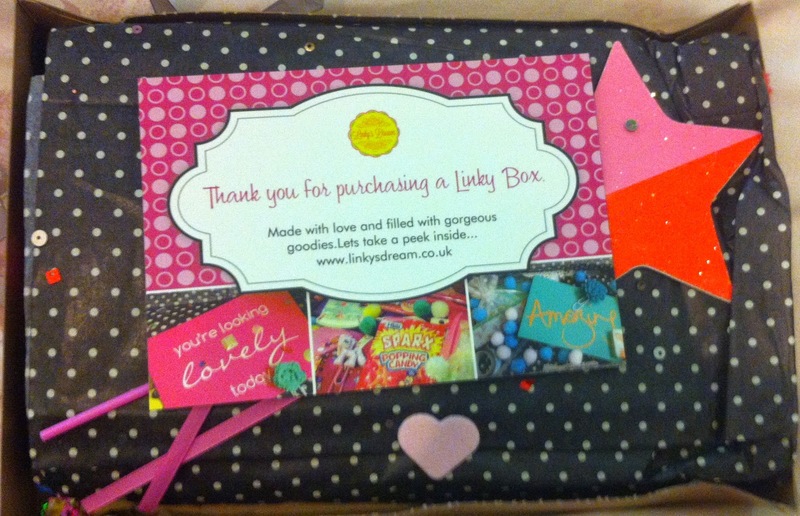 If you have your own Filofax or you just love stationary, you should definitely order a Linkys Box when you can, you won’t regret it! 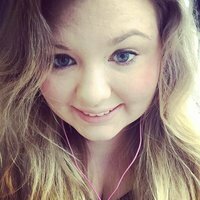 I just can’t wait to order my next one when they become available again! The great thing is that I have a use for each and every item that arrived, so for me personally, it is well worth the money. Check out Linkys Dream here.